We, at Rama Properties, understand the true worth of your money and for that we provide most effective Property Valuation Services in Delhi/NCR. 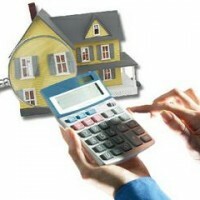 The valuation of the property is an important task that should be performed before buying or selling of the property. The exact assessment of the property is done as per the recent property rates prevailing in the market. This enables an individual to notice the net worth of the property and helps in cracking a profitable deal. We are reckoned as the eminent Property valuers in Faridabad. We offer valuation services for all kinds of residential, commercial, and industrial properties. We have our team of valuers and surveyors who offers the clients with most effective solutions by thoroughly evaluating the net worth of the property. This valuation is done on various aspects such as cost, location, surroundings, and other topographical and commercial aspects. Consequently, we are counted as the notable Residential and Commercial Property valuers in Delhi/NCR.